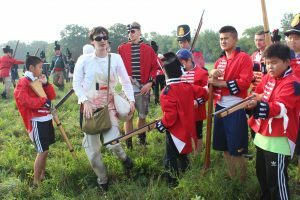 This is a living history camp. 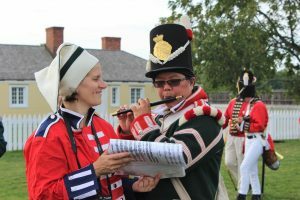 So we enjoy playing the parts! 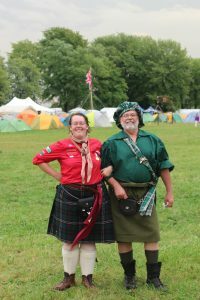 When you arrive at camp, you will notice that many adults and youth are dressed in British or US soldier period attire and no longer use their “Scouter” names. 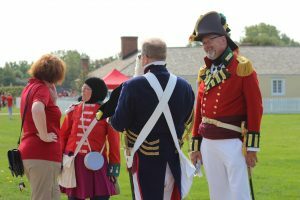 Each Regimental Head Quarters will have a Colonel, Lieutenant Colonel, Majors and Captains. 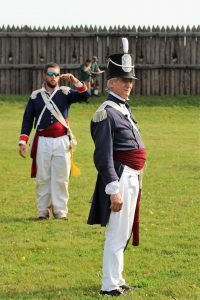 Each Company within the Regiment will have a Captain, a Lieutenant, Ensigns, Sergeants, Chosen men (Corporals), and enlisted men. 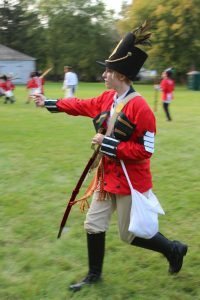 New recruits are often given field promotions for their actions during the weekend, and officers are promoted up the ranks from Ensign to major etc. by the Regimental Headquarter Staff. 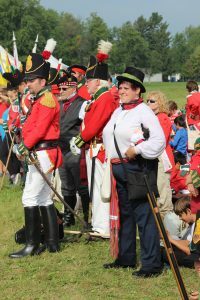 You do not need to wear period soldier uniforms to attend! 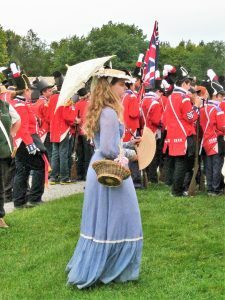 In the War of 1812, local inhabitants were enlisted from the fields and had no previous experience in military life. 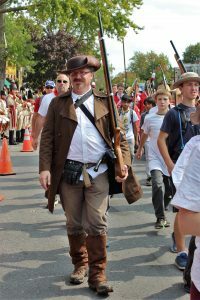 These were militia, formed partly from volunteers, and served a valuable part of the war for both the British and US military. 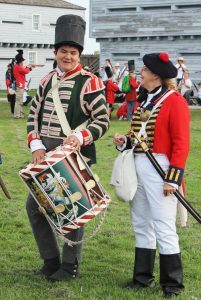 Some individuals with musical talents have chosen to come as drummers or pipers. 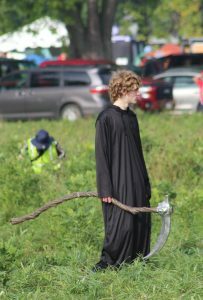 Other groups have been inventive and come up with “medic” or the “grim reaper” roles for the capture the flag games (making good use of past Hallowe’en costumes), and hand out bandages and “sugar pills” (otherwise known as candy) to injured and those who need to be “rejuvenated” to re-enter the game. 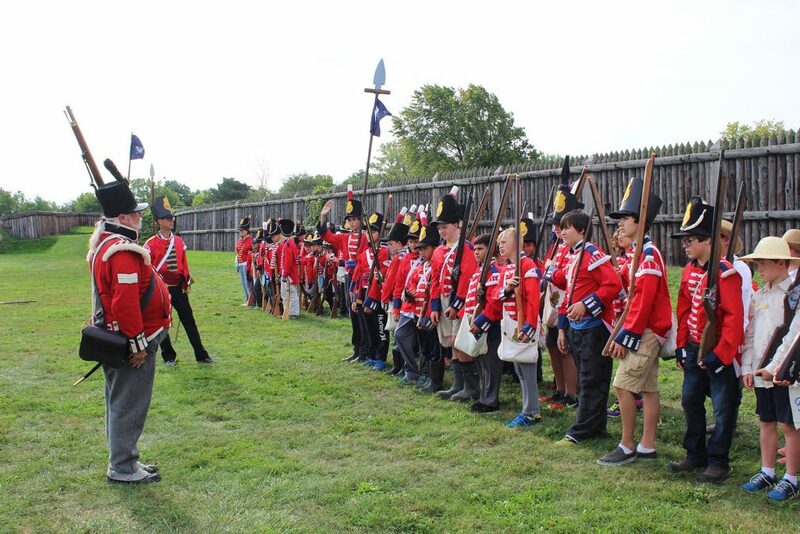 As this is a living history camp, you can play your part. 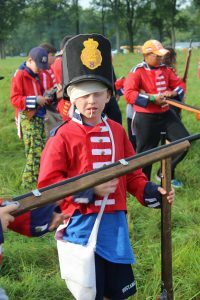 Each Regiment has a specific 1812 military dress (no scout uniforms required). 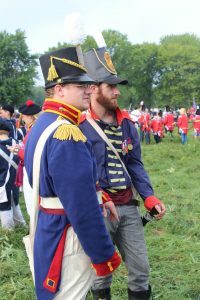 Military Units: regiment uniform coat, hand-made shako etc. Don’t worry! 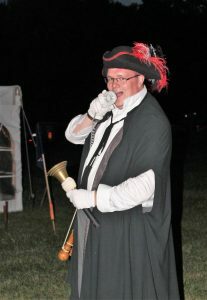 We can help with loaning or renting uniforms and other props for the weekend.